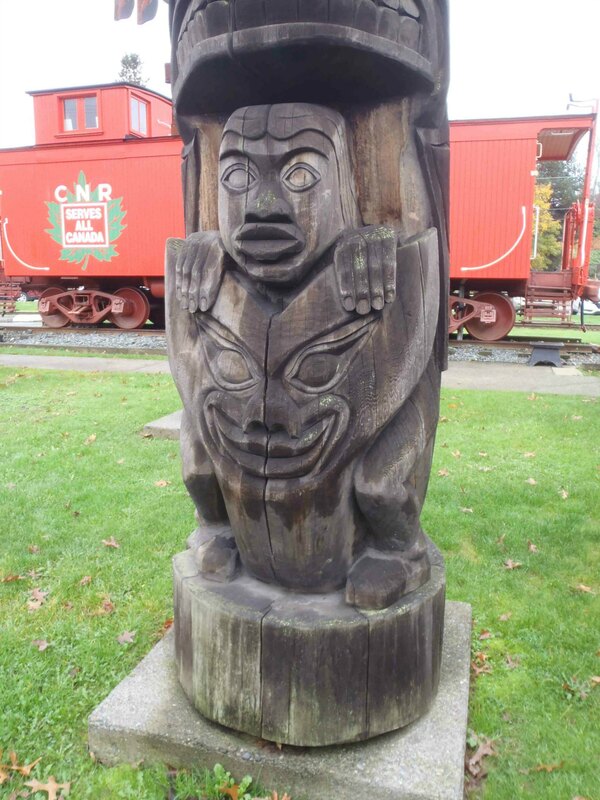 The Transformation pole was carved in 1987 by carver Laverne Roy “Corky” Baines (1949-1988). 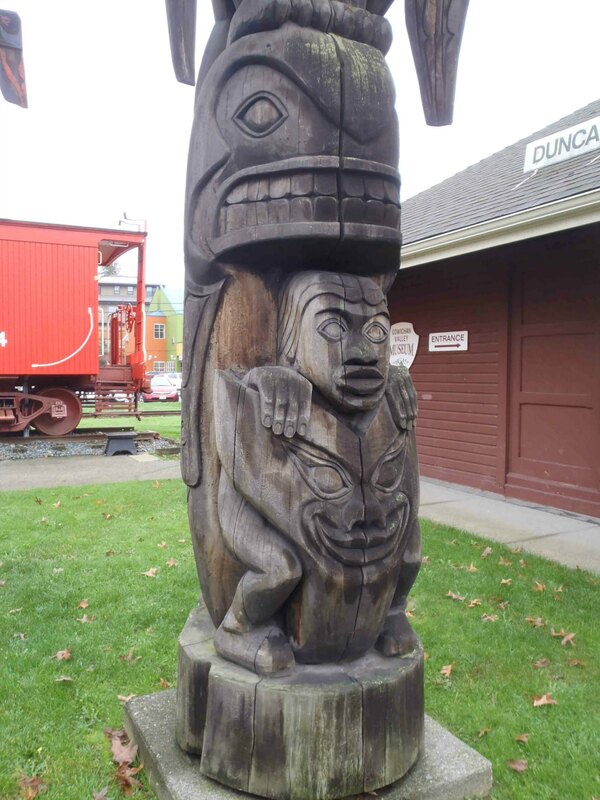 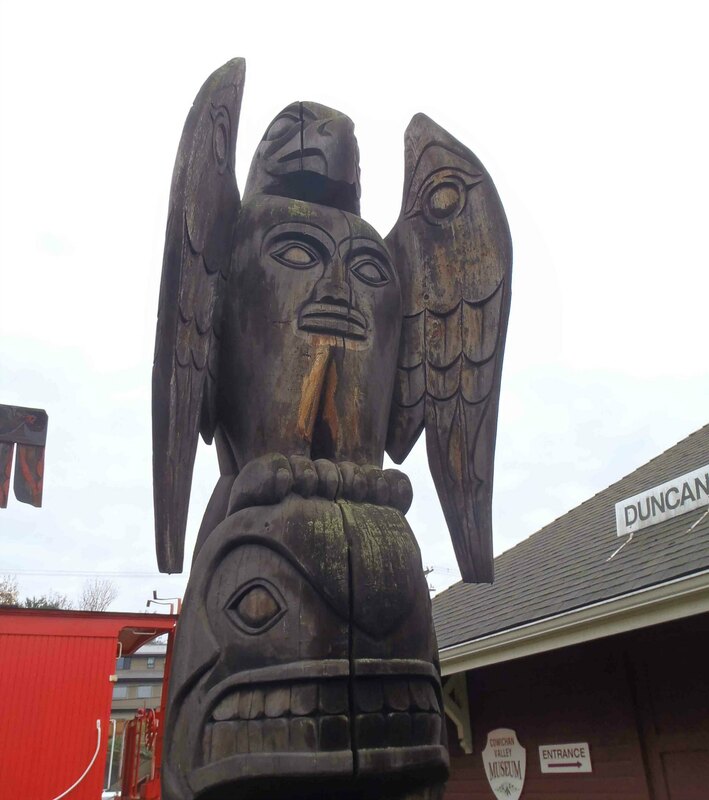 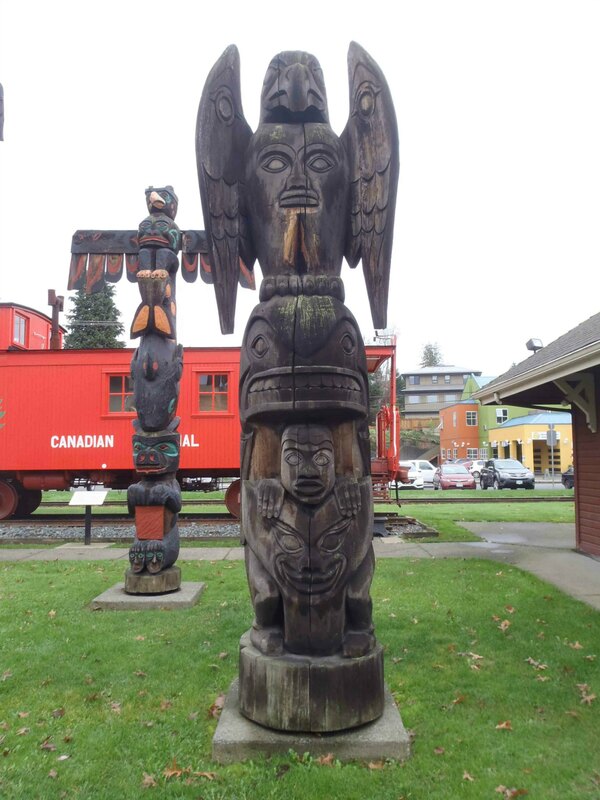 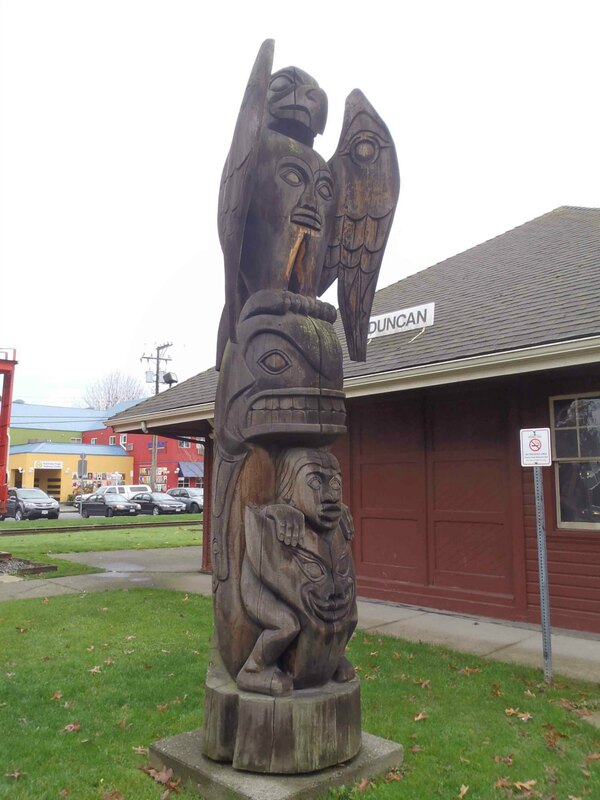 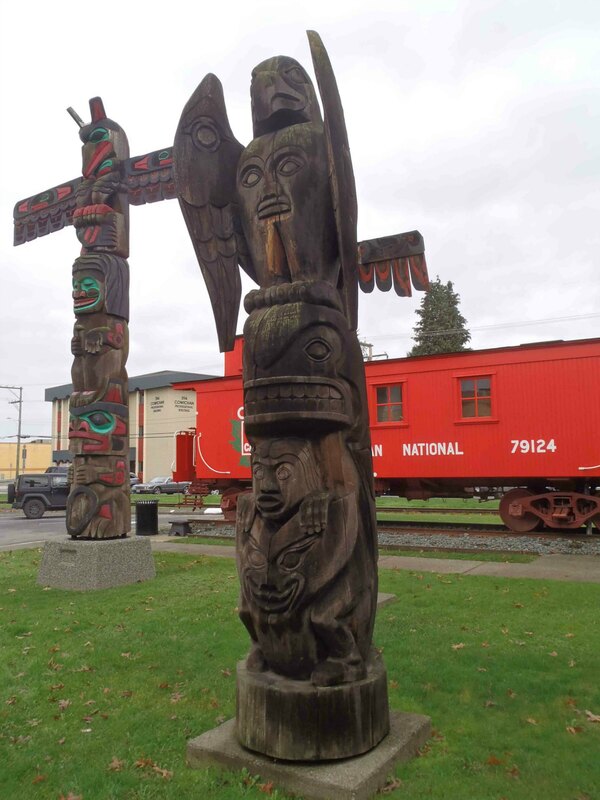 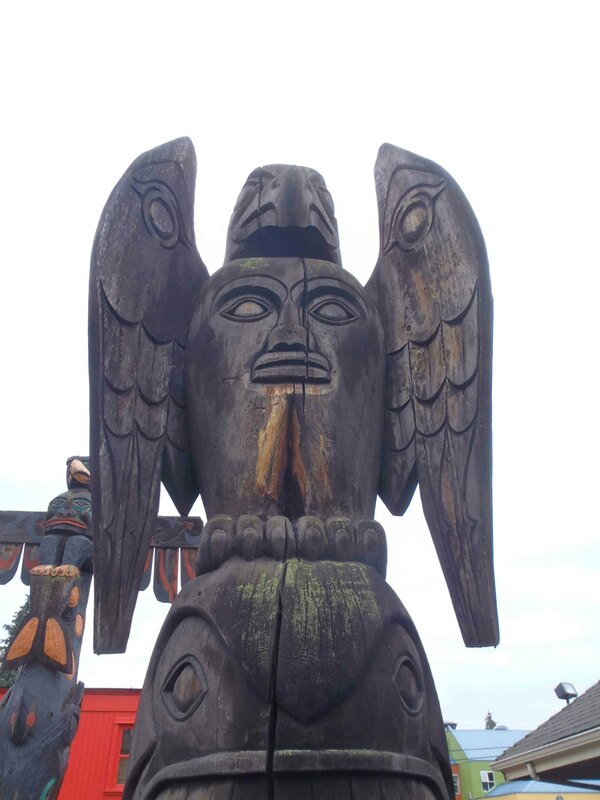 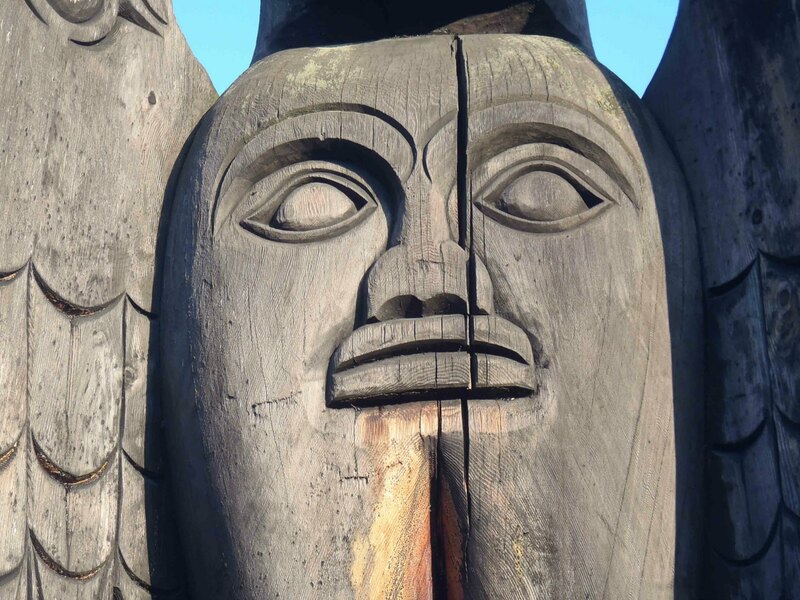 It stands 3.9m (12’9″) in height and is displayed with three other totem poles (Pole of Wealth, Raven’s Gift and The Feast) on Canada Avenue between the E&N Railway Station and Kenneth Street. 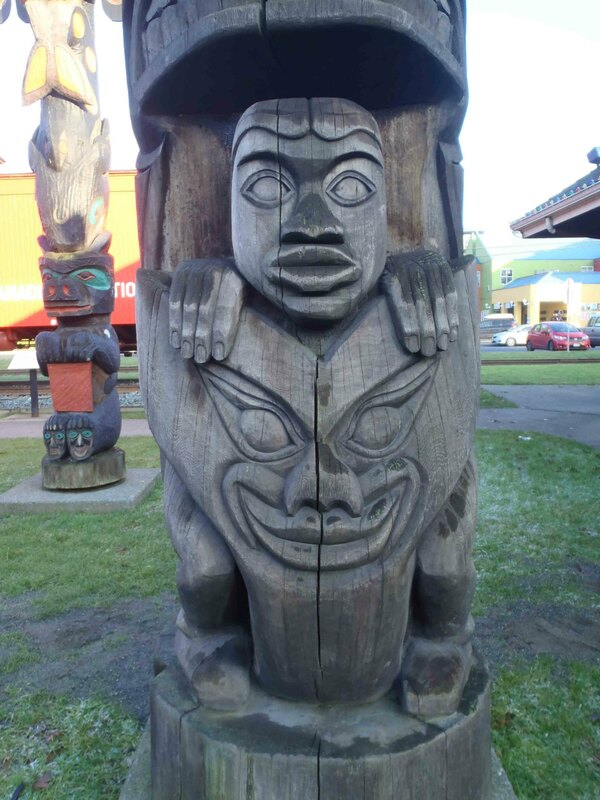 Transformation depicts four figures: the Bald Eagle, the Killer Whale, Man and the Wolf. 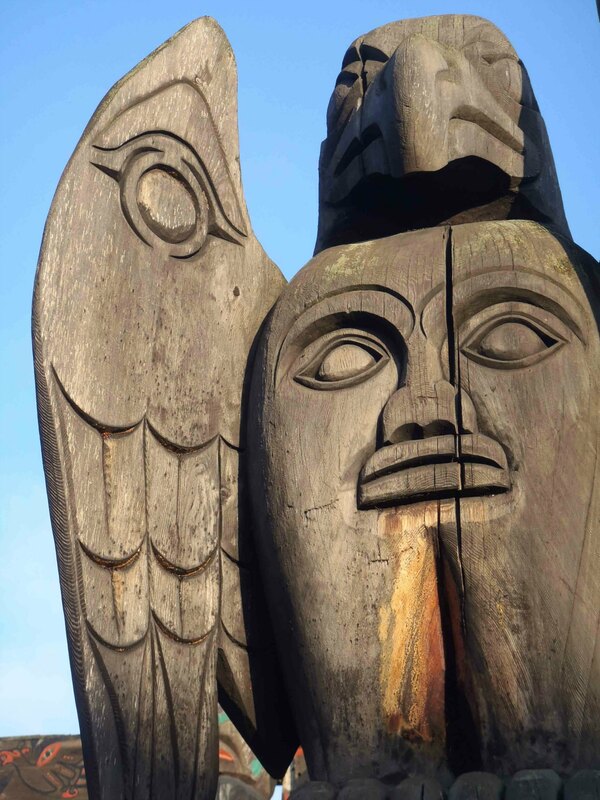 “The Eagle was very symbolic for Corky in transformation and in life, as Corky had gone from full time fishing into carving. 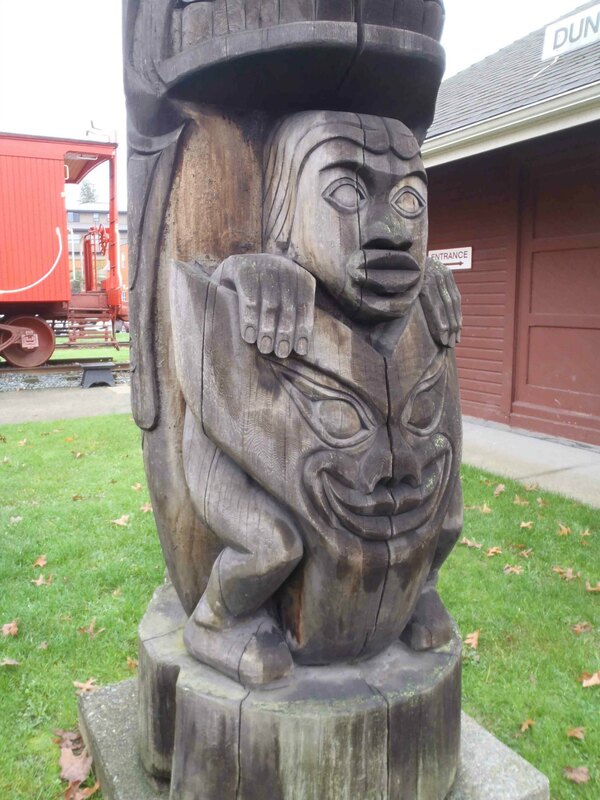 The Man represents that human part of the Killer Whale. 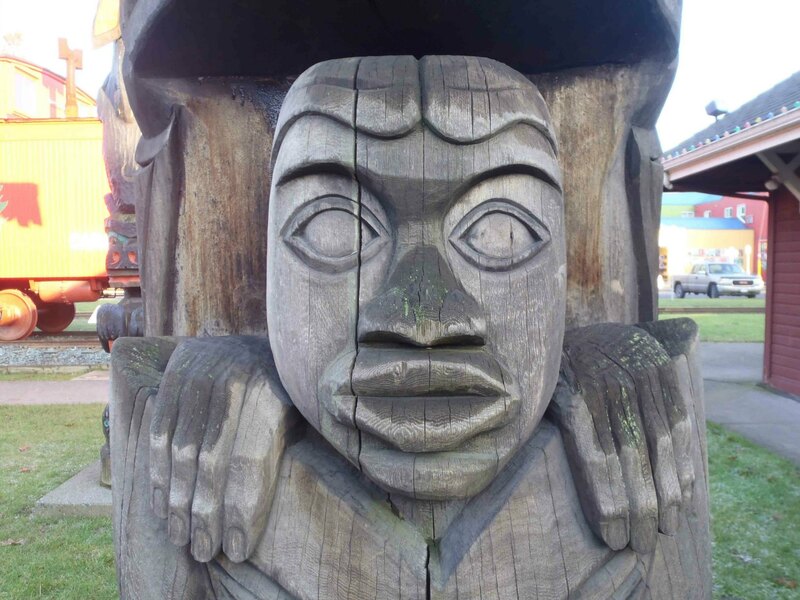 Our people believe that there was an undersea world. 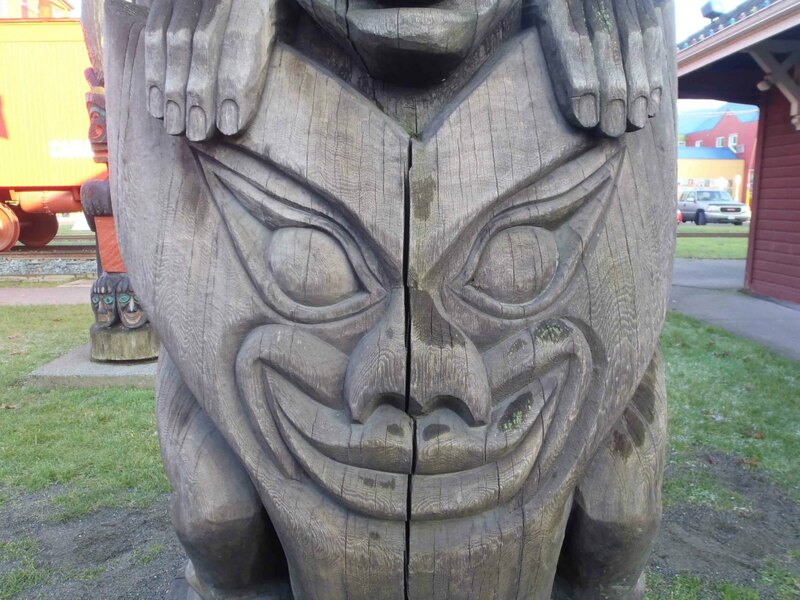 You put on your Killer Whale and then you went into the ocean. 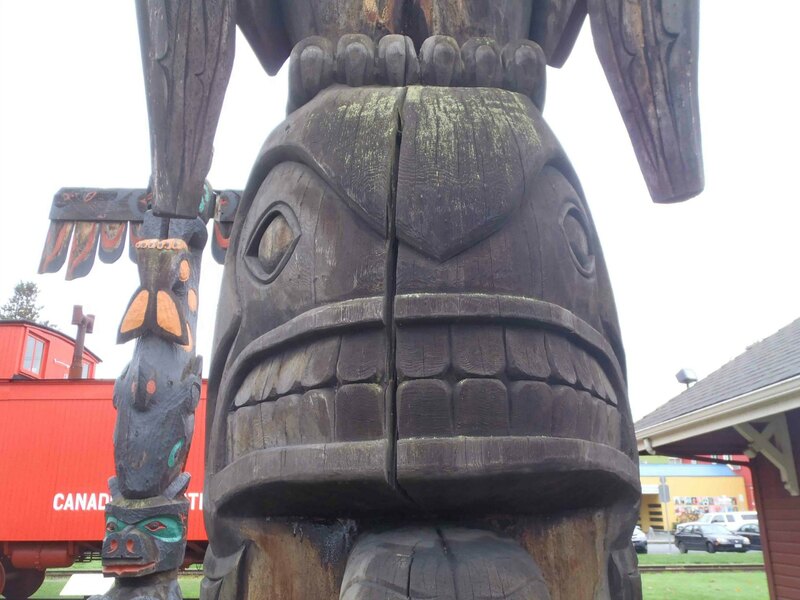 You lived in the undersea world as part human but also as the Whale; when you came up you took [the Killer Whale] off.